I’ve realized that I just can not do Wordless Wednesday posts because I always have something to say about a photo. I picked the photo above for Throwback Thursday not for the person (me at a very young age) but the items captured by my father when he photographed me. A few years after this photo was taken, my dad built a bookcase to separate the entry way of our house from the living room. He also laid laminate tile on the floor so the carpeting on the upper left side of the picture had to be taken up. The new couch next to me was black and orange. Mom was never crazy about the color but she liked the way it sat so she had it recovered in a burnt orange color. Some forty years later, that same couch was where family sat mourning her death. A couch that no one wanted and no one could haul off. I wonder if someone is enjoying it now almost seven years after she died or if it ended up in a dump somewhere. The dining chair now sits in my home in Missouri – along with the table and other chairs of the set. Who knew that when this picture was taken back in 1965 that I would know exactly where that chair was going to end up? The table between the chair and the television sat under my vanity for a very long time in our Texas home. Inside – where once was magazines and needlework books – were wooden Disney characters from Bambi. Those figures had graced my bedroom wall as a young child. Now, they are packed away. Many years later, that TV set was put in the basement when we got a brand new color television! But we still had to get up out of our seat and cross the room to change the channel! When I see pictures of objects that were familiar to me as a child, I always feel a sense of nostalgia. For me, genealogy is so much more than searching for ancestors who have come and gone. It is a history and what transpired within the lives of those people to make them who they were. Such is it for me. Remembering how I felt at certain points in my life – and the objects and places around me – is part of my history. My kids and grandchildren will not know details about why a particular place, or thing, or moment in history is important to me unless I tell them. And tell them again. And again. Have you shared your memories and history with your family? Mary Angeline Werts was born to William Washington Werts and Louisa Bookless on February 16, 1855 in Linton Township, Coshocton County, Ohio. Her father died when she was two years old leaving Lousia to raise Mary and her older brother, George. In the 1860 Census both children are living with others. In 1961 Louisa married John Simon and three years later they had a daughter, Sarah Ellen. 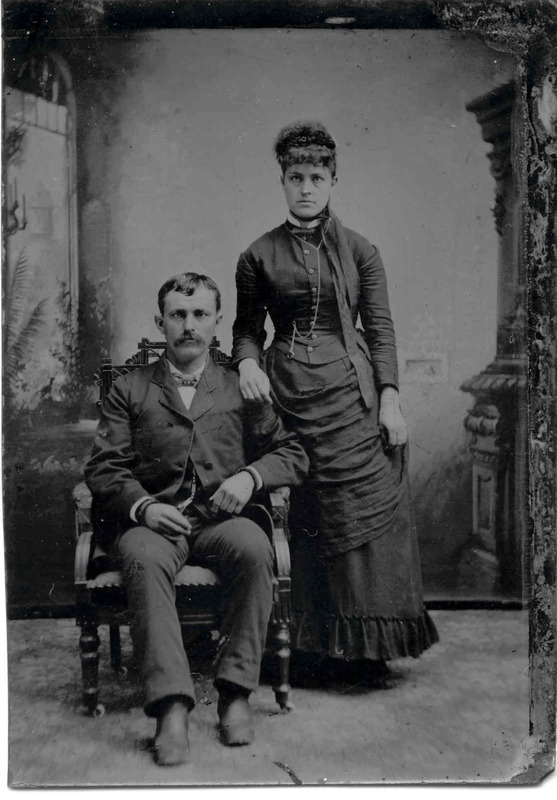 On December 14, 1872, Mary married William Henry Amore. In 1881 Mary lost her brother, George. 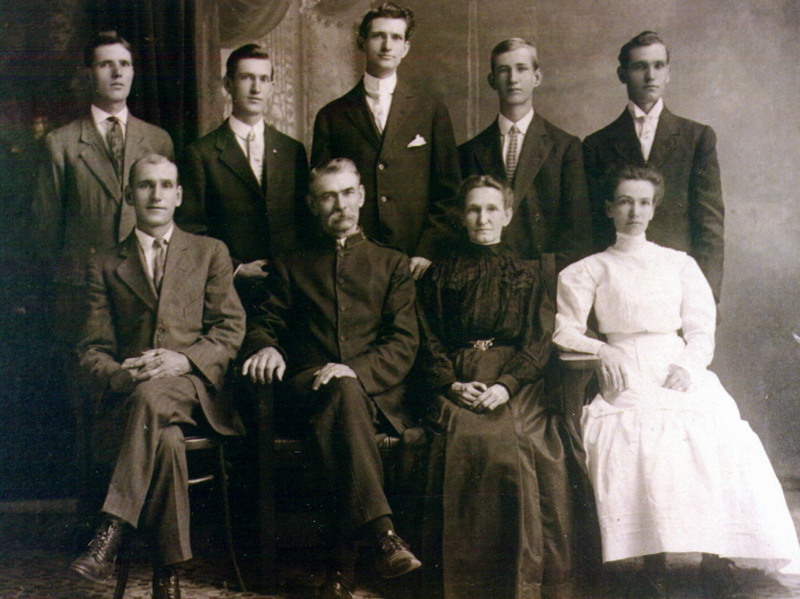 Mary – known as “Annie” and “Henry” had seven children – a daughter first, followed by six sons (“Clemmie”, “Zade”, Roy, Lloyd, Rollo, Bert, and Clarence). The family was very involved with the Salvation Army. I just didn’t realize how involved Annie was until I ran across an article from the Coshocton Tribune dated December 14, 1941 (nine days after Annie passed away). There were many Sundays she walked from her home in Roscoe to the Salvation Army home so she wouldn’t miss a service. My great-grandmother (her son Lloyd was my grandfather) saw the new citadel finished in 1929 when she was in her 70s. Unfortunately that was about the time she fell and was hurt pretty bad. The columnist reported that for more than ten years after her fall, Mother Amore was “an uncomplaining invalid, tied to her bed and crutch.” Salvation Army Captain Douglas Bethune told Al Cline that he always had a strange feeling in her house; one that felt as if she was comforting him instead of the other way around when he came to call on her weekly after her fall. As I read that article, tears sprung from my eyes. No, I didn’t know my great-grandmother in the traditional sense (I also did not know my grandfather as he died six years before I was born). I didn’t even really know her through memories of others. The only thing my dad has said is that she was in bed all the time. He was an adult by the time she died – so perhaps I can find out more about this woman from him. However, I did learn a lot about this woman, just from this article. It told me that she didn’t complain about any hardship that she encountered. Whether she learned this at a young age from losing her father and then her brother and being “farmed out” from her mother, I don’t know. I have a sense that she seemed to always have a sense of purpose – helping people, nurturing them, giving hope to others, and bringing the word of God into the lives of those who didn’t know Him. I have three pictures of Annie – the picture above is one that my cousin, Sharon Amore Brittigan, uploaded to Ancestry. The picture below is one that my family has also shared with me of Henry and Annie and their children. One other photo I have shows the couple surrounded by loving family members on the occasion of the first Amore reunion held at their home. Annie died on December 5, 1941 seven years after losing her husband, Henry. Her funeral was held in the Salvation Army citadel and she was buried in Roscoe Cemetery.